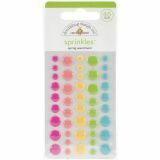 Sprinkles Self-Adhesive Glossy Enamel Embellishments - DOODLEBUG-Springtime Sprinkles Glossy Enamel Stickers. Perfect for scrapbooks and other crafting projects! Add a touch of shimmer and brilliance. 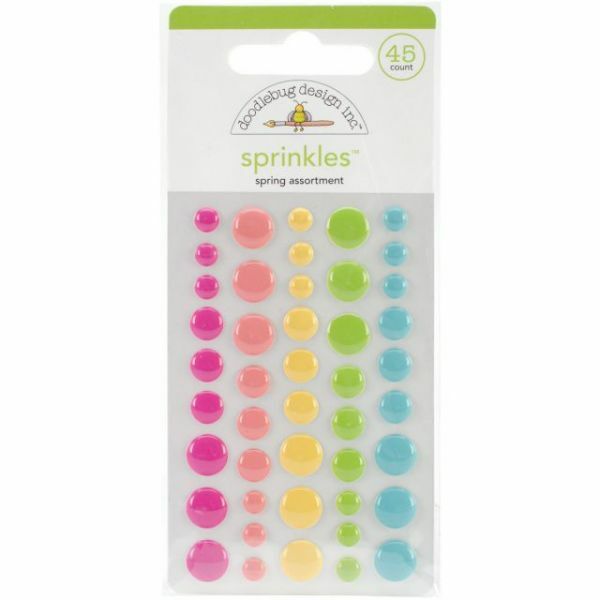 This package contains forty-five self-adhesive enamel stickers in three different sizes on one 3-3/4x2-1/2 inch backing sheet (contains five different colors). Imported. each sold separately. Imported.